Welcome to the COURSE SECTION of the ACE website. You will find your access links in the menu below. To find your course anytime, select "My Account" or use the log in form to sign in and you will automatically be taken to your Course Access. Access Course Links on "My Account" page. Referrals to ACE - Get Paid! If you find any links, downloads, or video's that aren't working please note the page link you are currently accessing and then email us with the details so we can fix the issue. Find other ACE Students to work with for Practice and Case Studies. See ACE Connect details page to learn more how to use this feature. We are currently reviewing all Case studies for ACE Level 2. 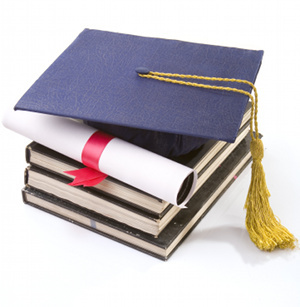 If you have already submitted your case study in 2014, we will be issuing certificates out before the end of October. Please make sure your student account is up to date and/or paid in full. Certificates will only be issued if course payment has been received in full (up to level 2 fees). For those also taking level 3, please note that the base fee for ACE 2 must be received before we issue a certificate for this level. We will review your tuition fee payments before mailing out certificates to ensure you're up to date with course payments. Finally understand why you get sick, feel pain or experience a chronic disease. ACE uncovers the causes and how you can clear them out for good. Take our introductory LEVEL 1 course to learn the basic premise behind ACE or bundles courses together. Get informed and be at the forefront of conscious healthy living. All ACE Levels carry a Practitioner Certificate upon successful completion. 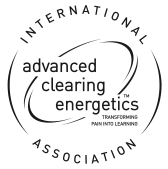 ACE Practitioner Level 1 - Learn the Major Premise behind Advanced Clearing Energetics, the Steps that a Disease takes, and begin working on clearing underlying issues. ACE Practitioner Level 2 - Understand Your body and how it communicates. Understand the Conflicts and how your body processes them so you can be even more effective in your work. ACE Practitioner Level 3 - Delve into Psychological Conflicts, how they manifest, and how they are triggered. Learn strategies to assist clients to clear out incredible mental health issues. ACE Level 5 (ACE Master Practitioner) - Perfect your ACE Practitioner skills and become an ACE Master. Learn about difficult, chronic and serious diseases. Become a Contributor to ACE Development and become the go-to-expert in your Niche Field. ACE Practitioner Level 6 (Master Trainers Training) and 7 (ACE Professional) are coming for 2015-2016. This course is geared towards Alternative, Complementary and Traditional Practitioners, Coaches or Therapists who need to learn the fundamentals of marketing so they can take their business to a new level. As business owners is vitally important to be involved in your own Marketing. It's also important to make it a priority so your not fishing an empty pond to find clients when your client list is running low. Unlike any other modality related course ACE Your Marketing gives you a foundation of Marketing fundamentals that will allow you to grow your practitioner business by leaps and bounds. You'll learn how to find your ideal clients, how to offer them solutions and how to weave it into your business so it supports your business growth and allows you to have the lifestyle you want.